We are leading manufacturer of Plano Lathe Machine. We are one of the widely acclaimed manufacturers and suppliers of Plano Miller Machine. The offered extra heavy duty Plano miller machine is very widely used for die cutting and engraving operations. Our supplied extra heavy duty Plano miller machine is made from superior grade raw materials, sourced from very trusted and reliable vendors in the market. 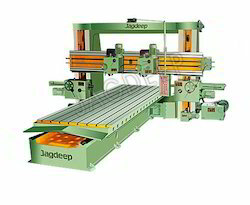 Our valuable clients can avail from us a premium quality range of Plano Milling Machine. 3 Axis light duly high speed Plano Millers of different capacity for machining of non metallic parts and aluminum material. - Spindle Speed 8000 rpm max, ISO 40 taper. - Table size – 2500 X 3100 mm. - Travels X3000 mm, Y2650 mm, Z600 mm. - Operation –Filter plates and its die plates in Aluminum. - Smaller size also available. We take pleasure to introduce ourselves as one of the renowned firms for providing the best-in-class range of Plano Miller Machines. 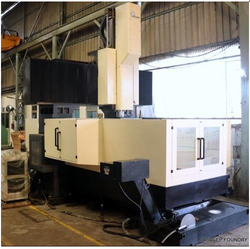 The Plano Miller Machine we manufacture is one of the primary choices in the market. Owing to its sturdy construct and high resistance to corrosion, it has a longer functional life. The performance it provides and its speed is highly acclaimed in the market. In addition, we offer this machine to our clients in several specifications and at a market-leading rate. 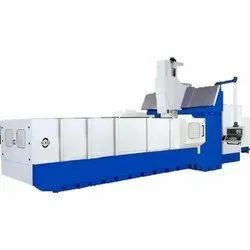 With a firm commitment to quality, our organization is involved in offering a wide ambit of Industrial Plano Miller Machine. - Capacity: 16 ft. to 40 ft.